What Does Home Siding Really Do? Siding can dramatically change the appearance of your home at first glance. With many different types of siding, you choose your style and the most appropriate material for your environment. Cedar Shingle – combining rustic beauty and durability. Due to its many cuts, textures, patterns, and styles, cedar is one of the more customizable options for your home siding. 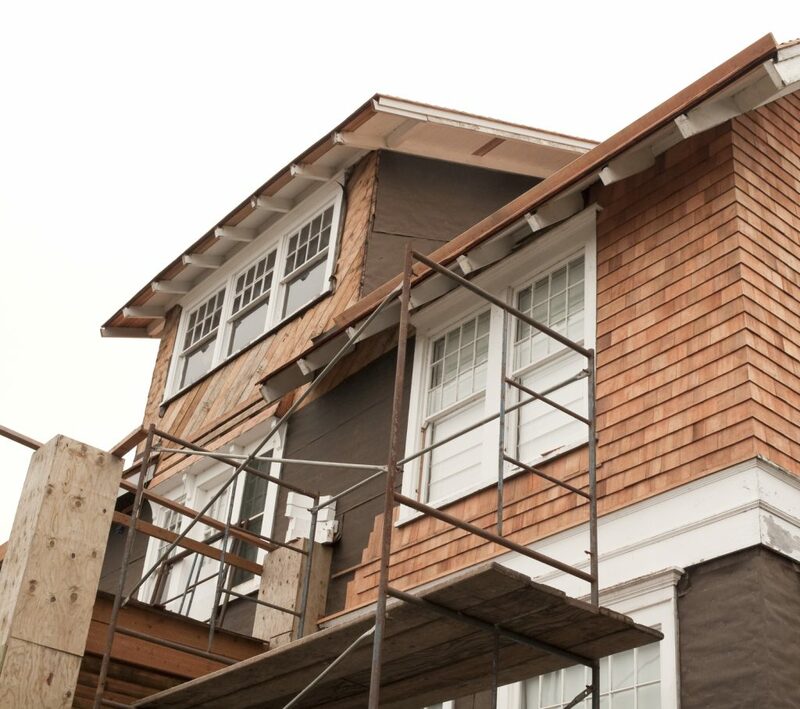 Clapboard Siding – often referred to as wood siding, weather board siding, or wood plank siding, this option is a classic. Cedar is our most popular wood used in clapboard siding mainly due to its resistance to high winds and other extreme weather conditions. Vertical Siding – this design alternative to traditional clapboard siding is installed perpendicular to the ground. It provides both natural beauty and rich color. When you choose cedar siding, it naturally produces an oil that acts as an insect repellent, turning away wood-eating bugs, such as termites. Another benefit to cedar siding is that its natural oil also resists wood rot. This makes it a perfect option for homes that experience high levels of humidity and damp, rainy conditions. Looking to install new siding? The experts at Landmark Exteriors are here to help you with the installation process, no matter which type of siding you choose. Our experienced and well-trained installation professionals are experts at installing and are ready to help! To speak with our professional staff about a new siding, give us a call at 203.838.3838 or visit us on the web.